Self-contained single-storey gîte (75 sq.m.) 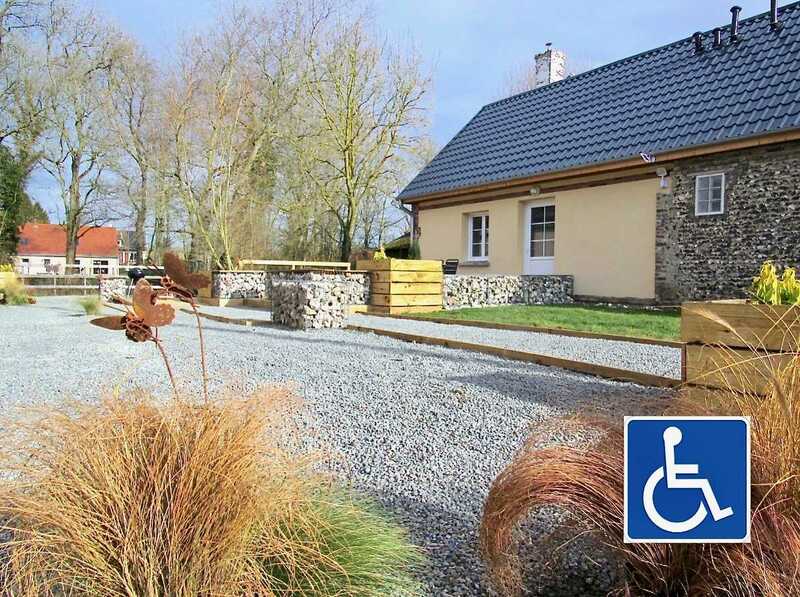 with full disabled access, off central courtyard with parking spaces. Fitted kitchen (fridge/freezer, oven with slide & hide door, worktop with variable height) opening onto sitting/ living room (sofa bed). 2 bedrooms (double bed) (3 single beds). Large shower room (walk-in shower) with non-slip tiling, chandelier. Electric heating (no extra charge). Automatic door and lighting, touch switches, easy release plug sockets. Private fenced Zen garden (300 sq.m. ), lawn, large terrace Bike shelter.